The earlobe is made up of strong areolar and adipose tissue and has a natural round, flat, or triangular shape. Lobules are normally smooth however they sometimes show creases. It has a large amount of blood supply and may assist in keeping the ears warm and maintaining balance, due to the reason that the earlobe doesn’t consist of cartilage. 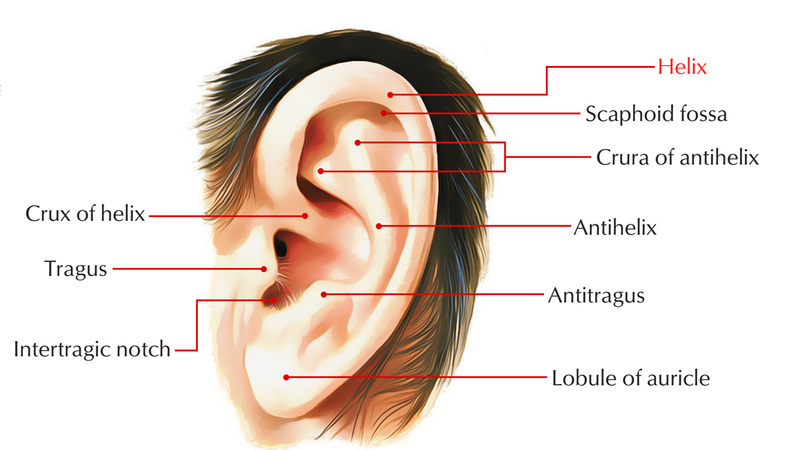 The earlobe has various nerve endings. Though, earlobes are not said to have any significant biological function. The earlobe is made of epithelium and connective tissue and originates from dermatome. But there is no dermatome, because there are no somites in the surrounding tissue. The dermis is derived from cells of mesenchymal cells in this area. The central section of Archenteron’s roof that stimulates the production of the Medulla oblongata is the first-level creator. The Medulla oblongata, which induces the production of a pair of auricular follicles derived from the mesoderm, is the second-level creator. The auricular follicle, which induces the production of the auditory bulla, is the third-level creator. Lobules are normally smooth but often show wrinkles. 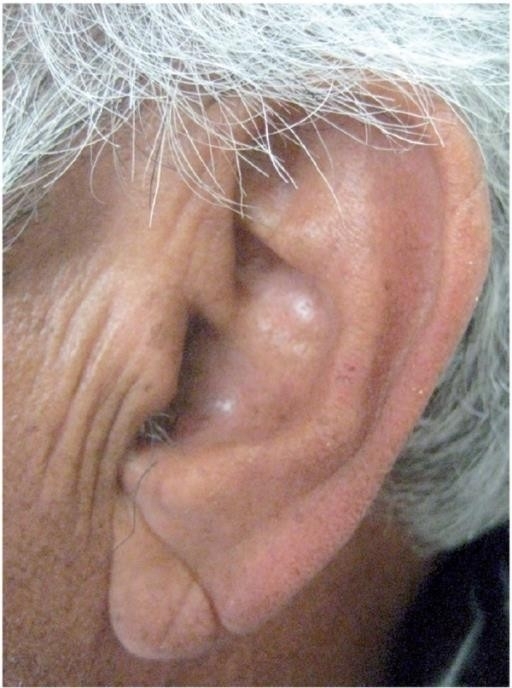 Creased or crumpled earlobes may indicate a fundamental genetic illness, for example beckwith-wiedemann syndrome or congenital contractural arachno-dactyly. There have been reports that diagonal earlobe folds extending from the lateral cheek toward the inferior helix are a major risk factor for myocardial infarction and ischemic heart disease. The earlobe crease is also called Frank’s Sign. However, earlobes lack the firmness and elasticity of the rest of the pinna and even without having heart disease can become creased and elongated with age.